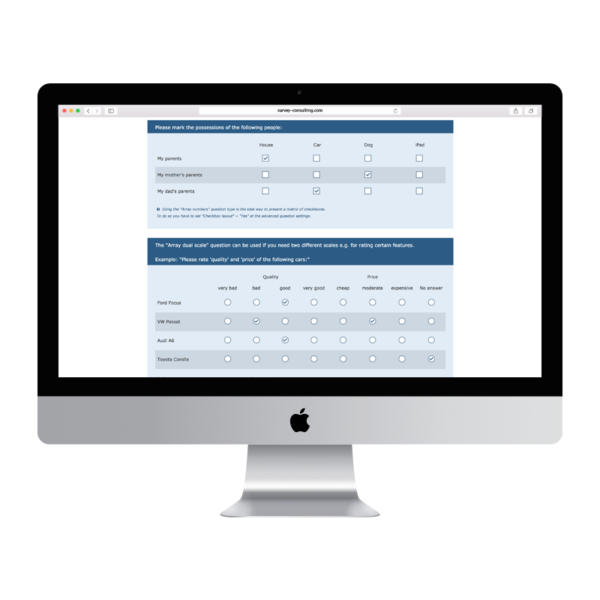 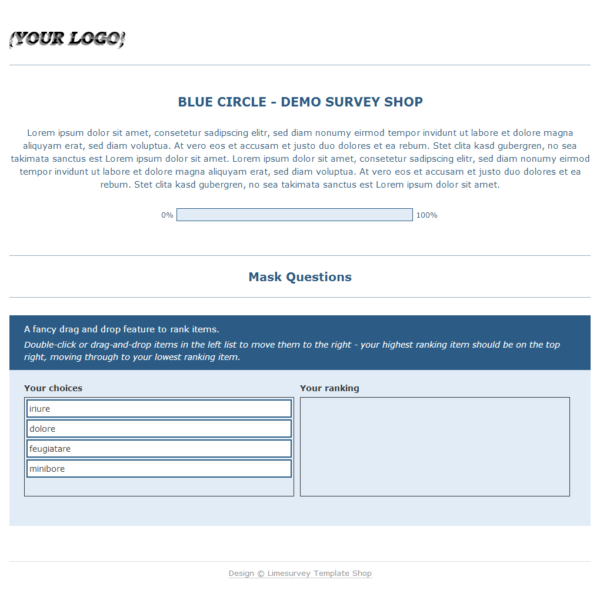 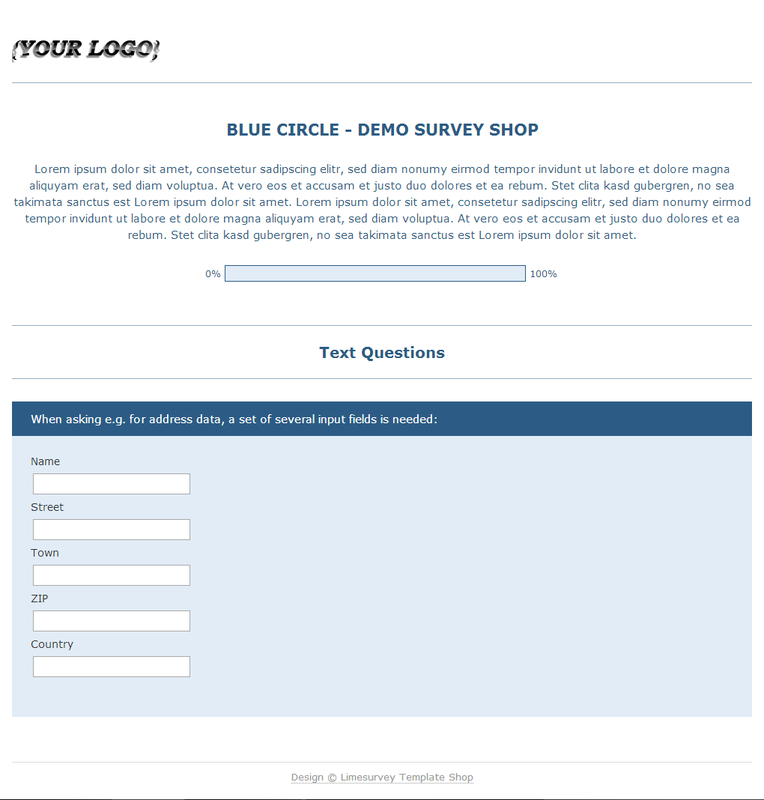 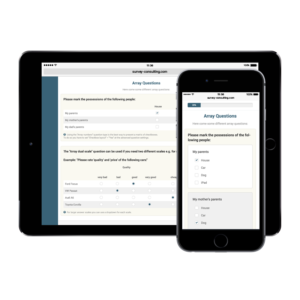 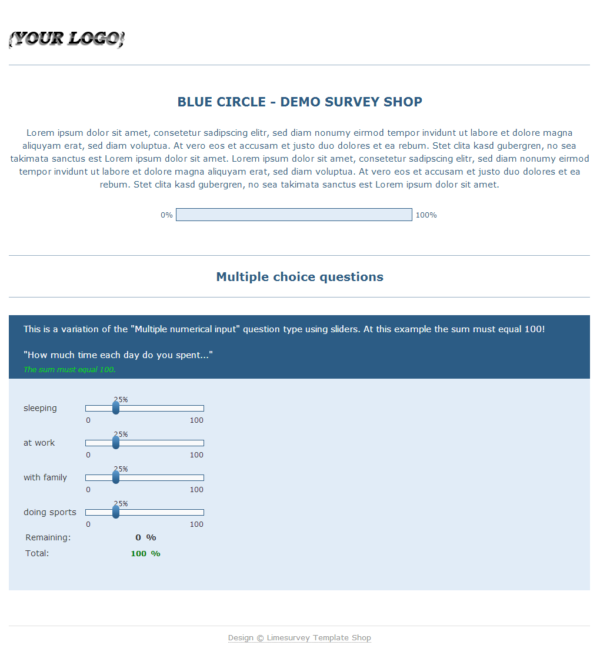 A modern limesurvey template that uses shades of night blue combined with clean graphical elements and a large progress bar. 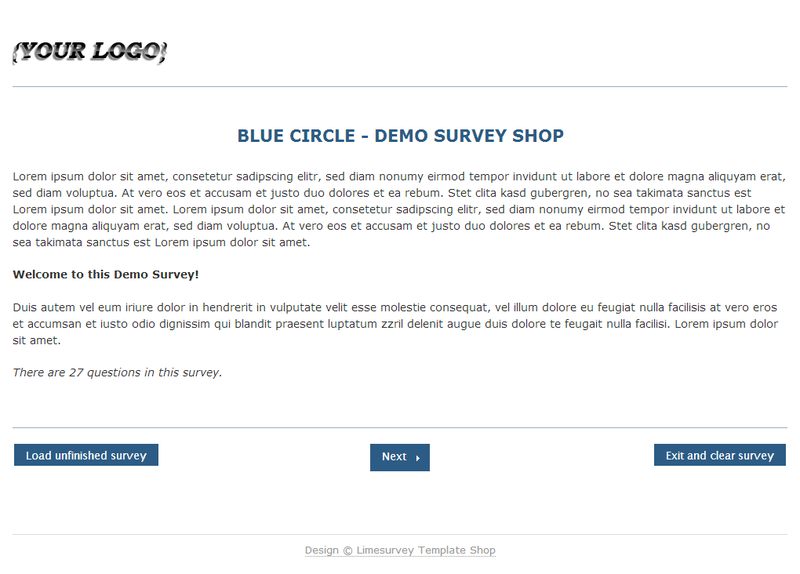 It is tablet optimized and was tested using the iPad but should work fine with other tablets as well. Of course, you can also use it for surveys targetting participants using a common PC/Notebook as it works fine in every common browser. 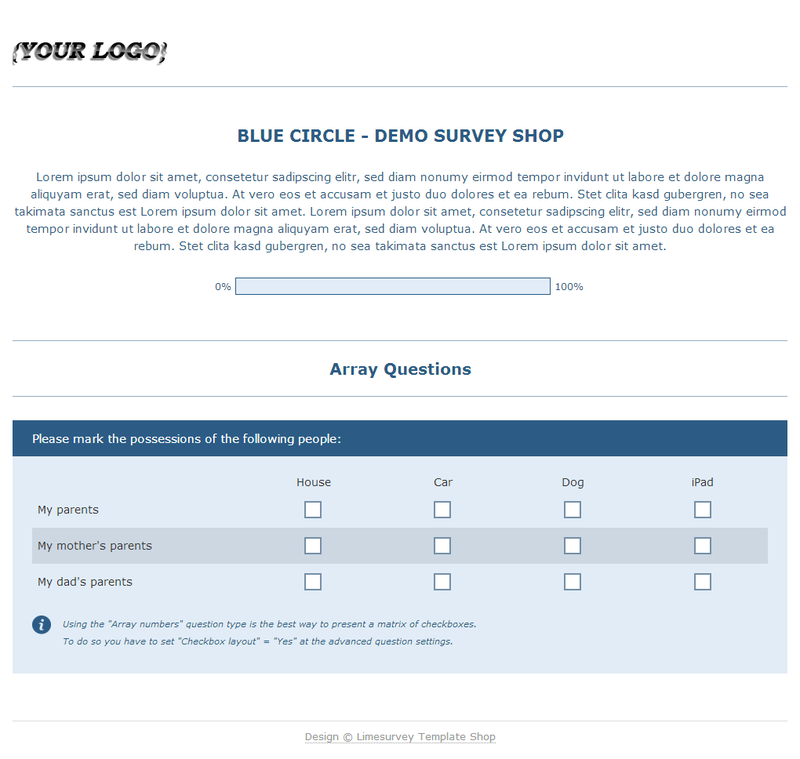 For a better usability, we used larger images for the radio and checkbox buttons as well as for the icons. You can easily replace these images with your own ones if you prefer different colors or styles. Besides this tablet optimized template “Blue Circle” we also offer a matching mobile optimized template using the same design which is called “Blue Circle Mobile“.